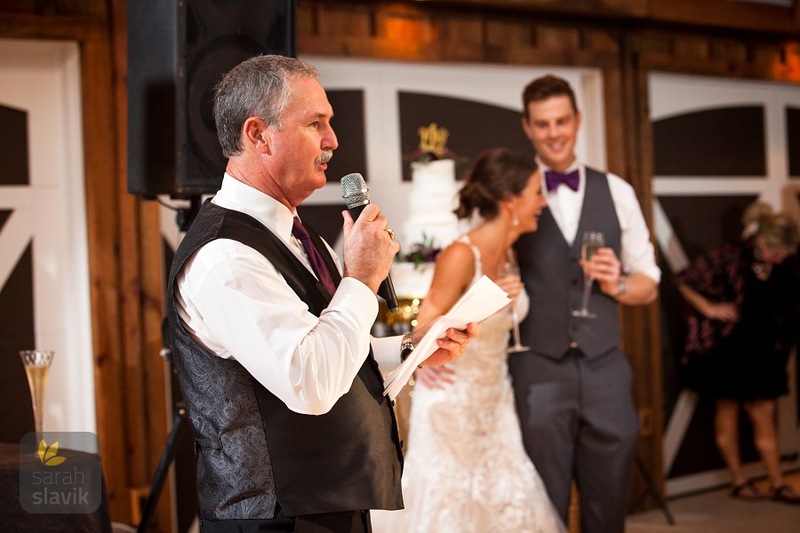 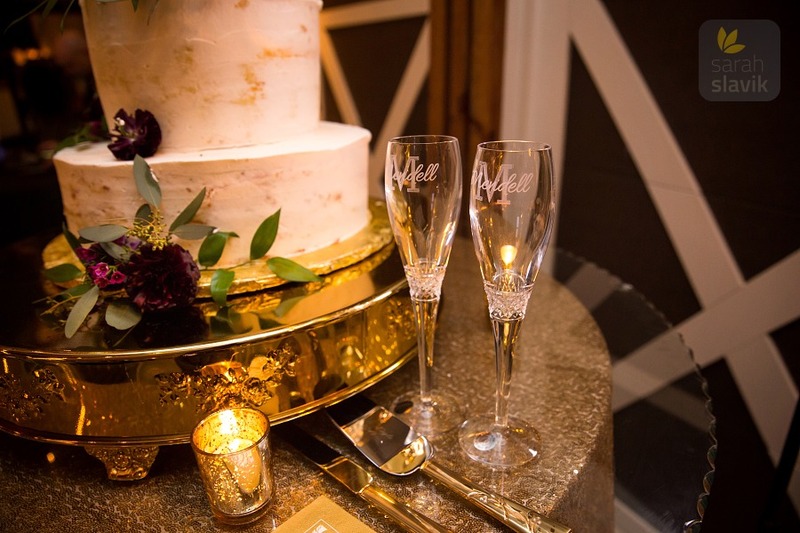 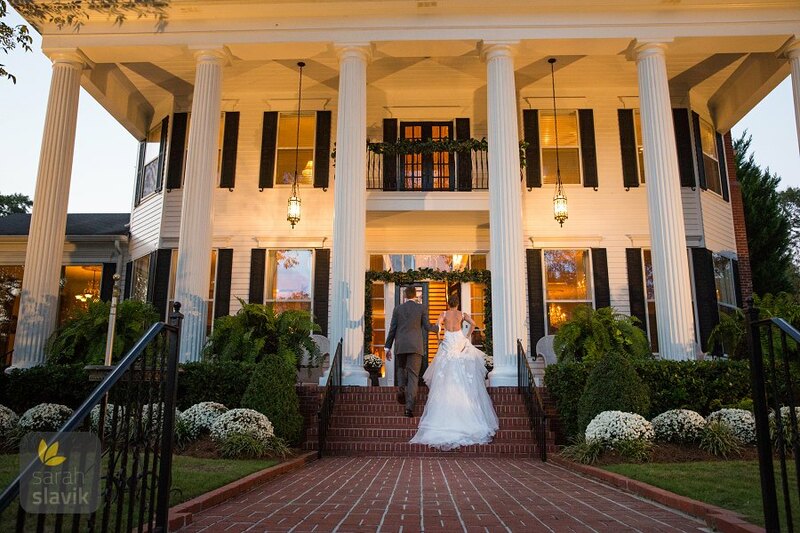 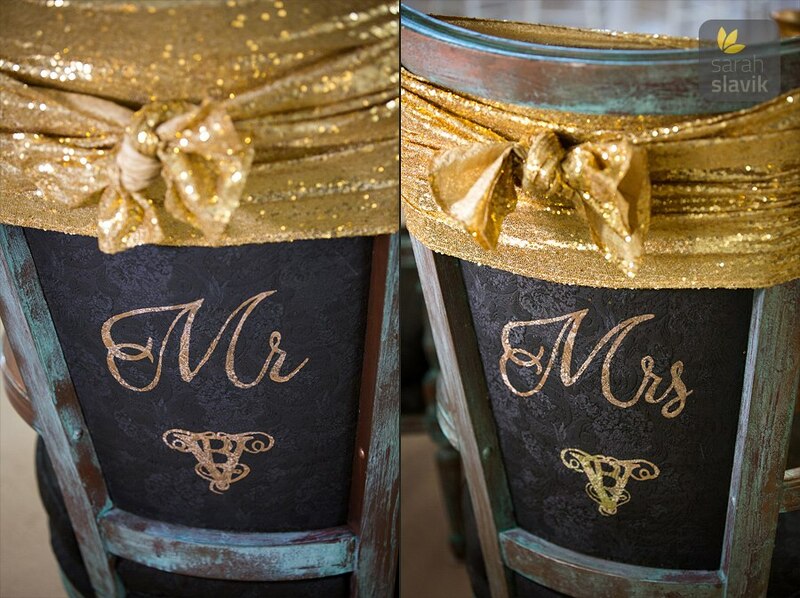 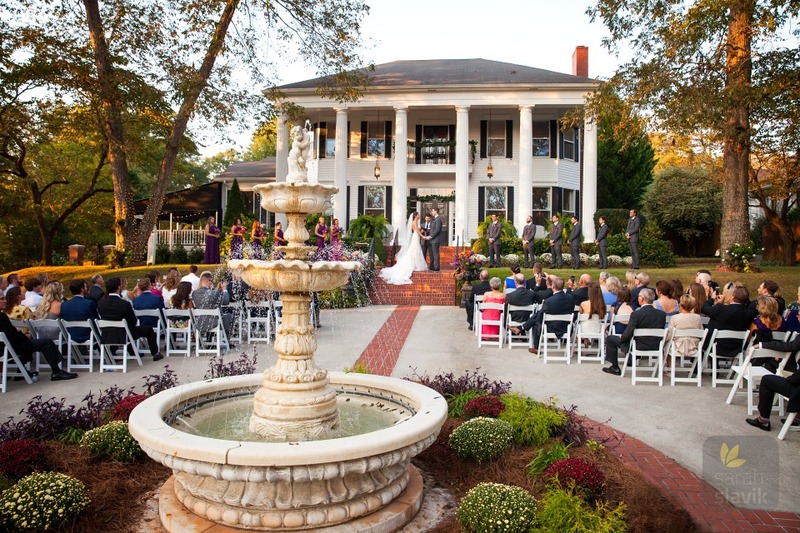 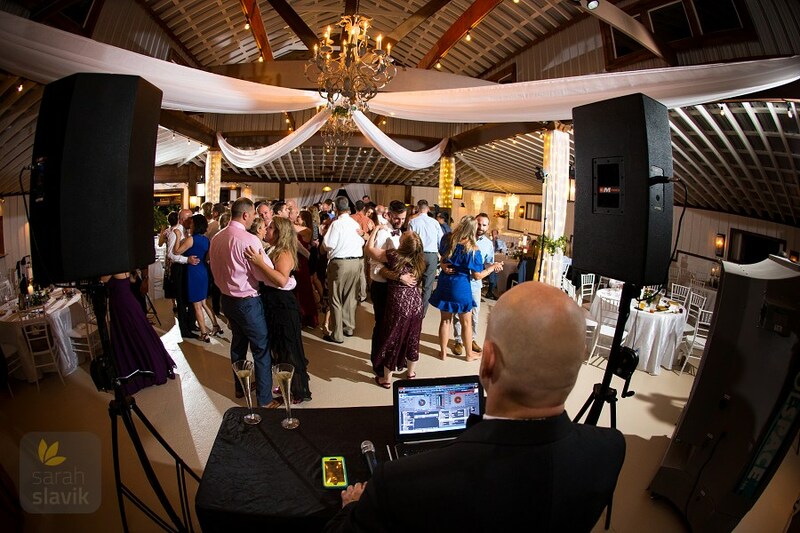 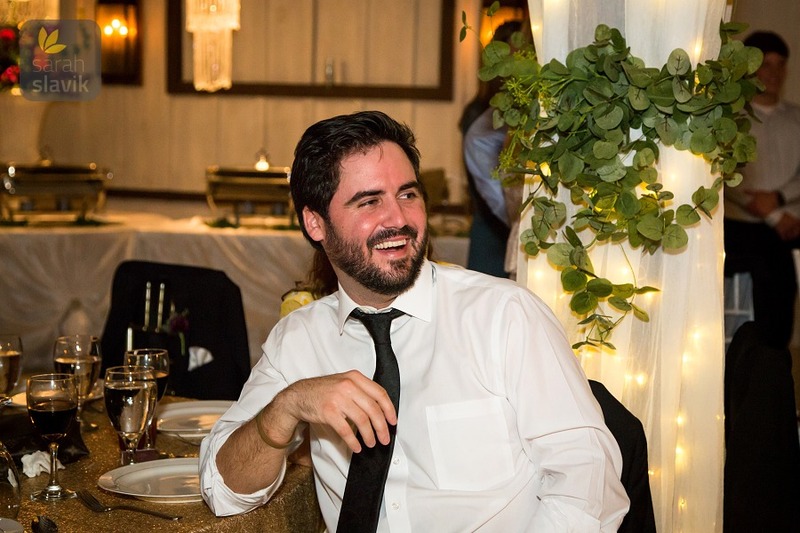 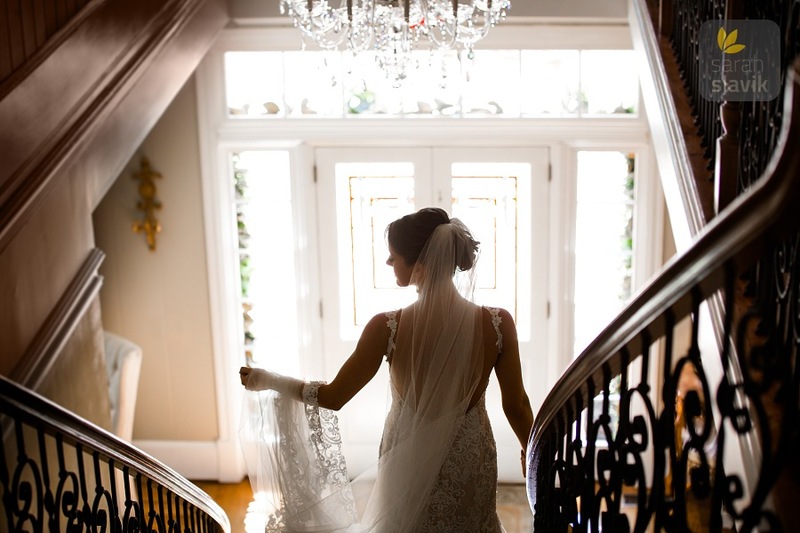 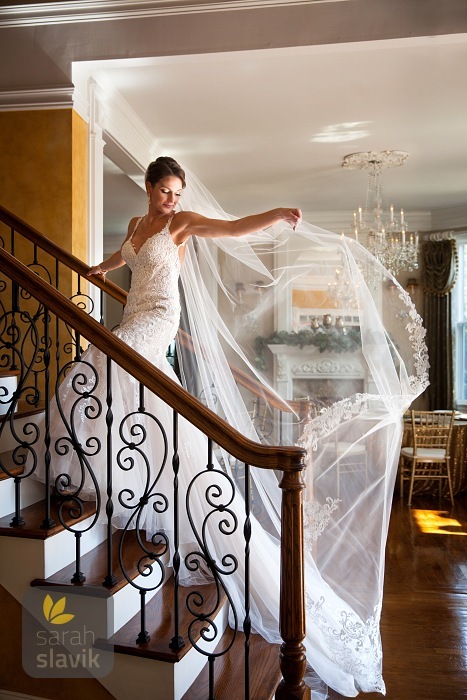 Victoria Belle Mansion is one of my all-time favorite wedding venues, and for several reasons. 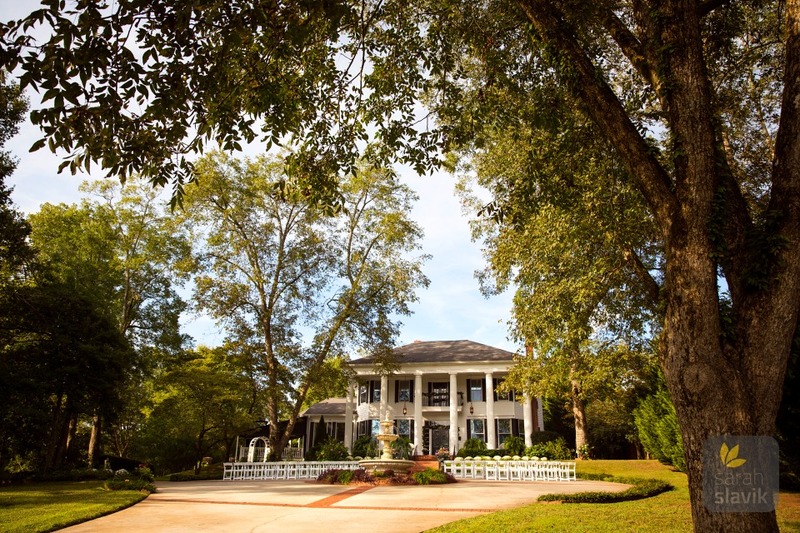 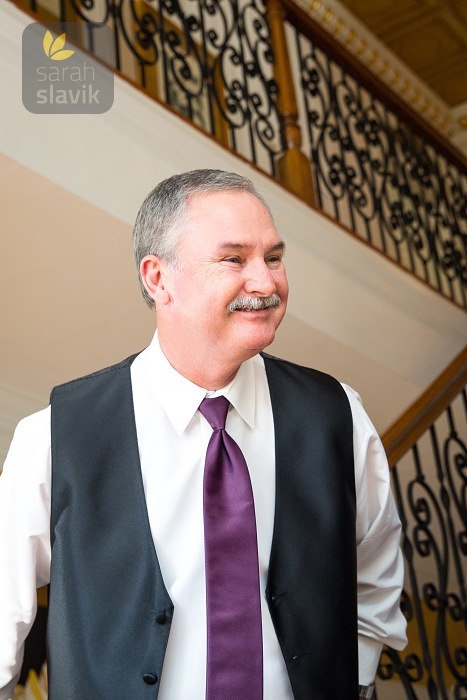 The owner, Vickie Brown, does an exceptional job maintaining not just the mansion itself, built in 1897, but the entire estate. 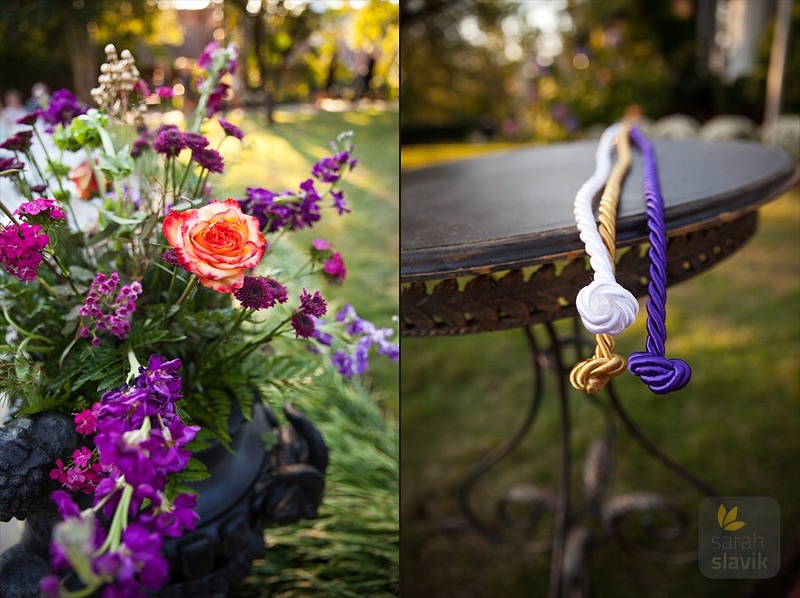 Every season, new flowers are added to the lush garden to provide accents, which look gorgeous in the portraits. 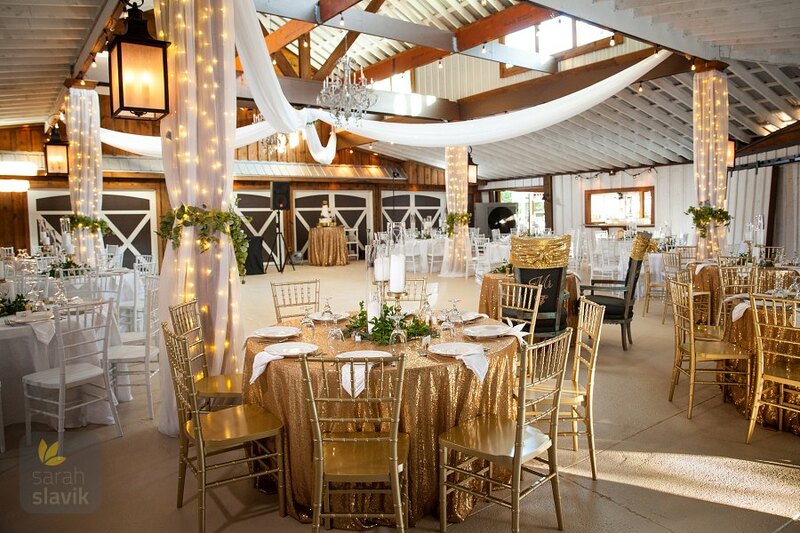 The garden, barn, and ceremony courtyard are all decked out in string lights, which look incredible accompanying the bright flowers. 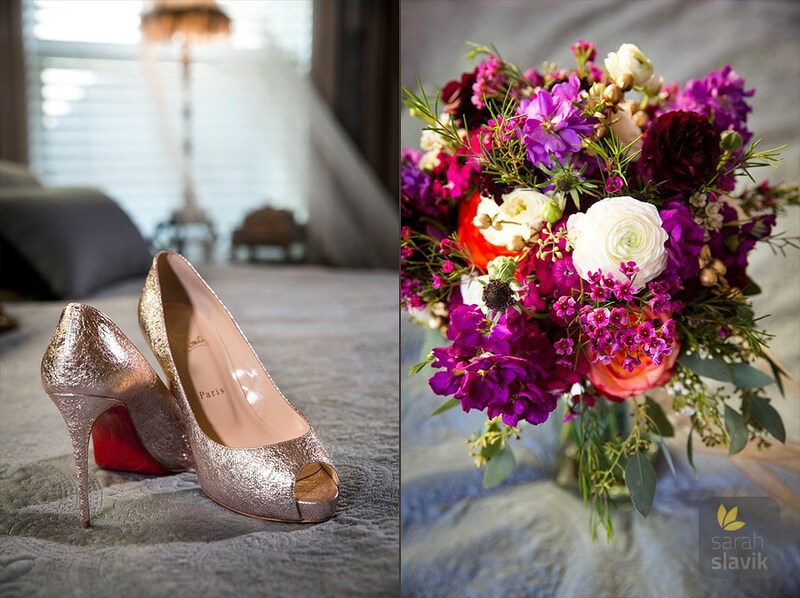 Color is literally everywhere. 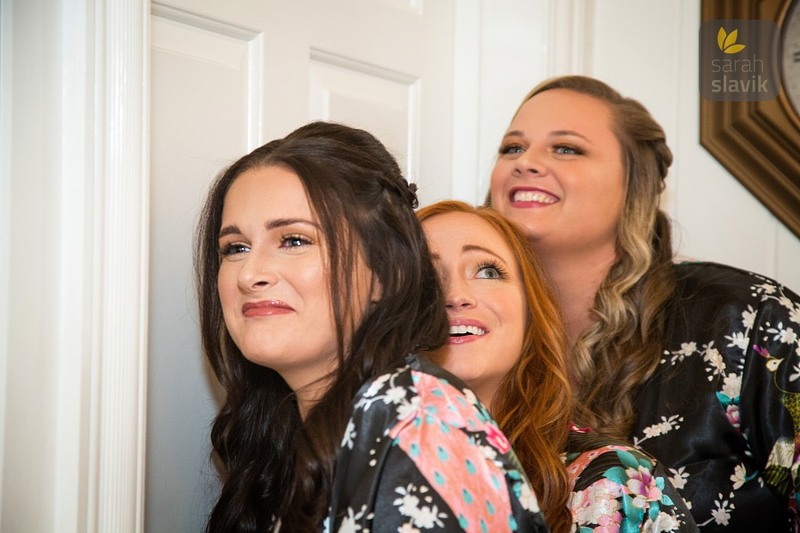 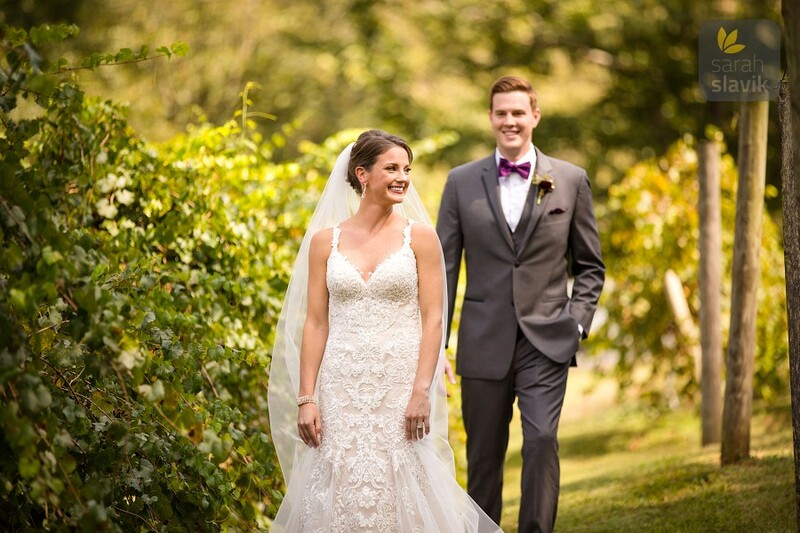 The close-by vineyard is also a huge bonus and a definite favorite amongst Victoria Belle brides for portraits. 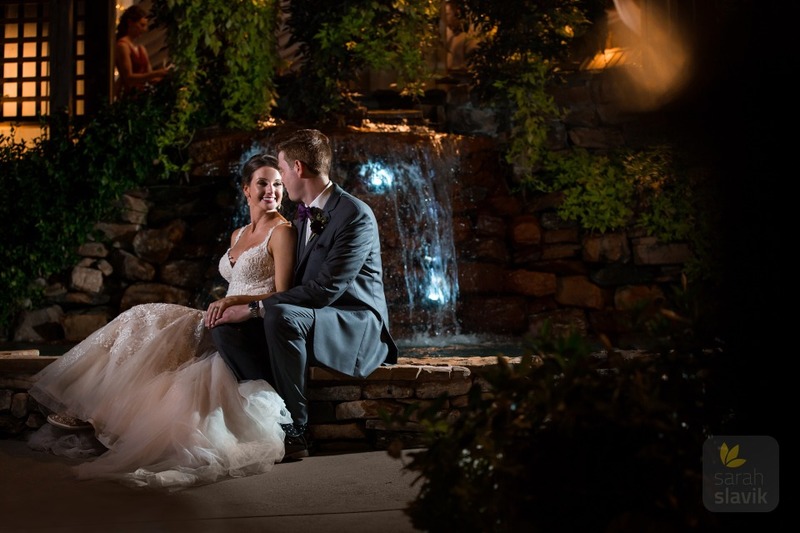 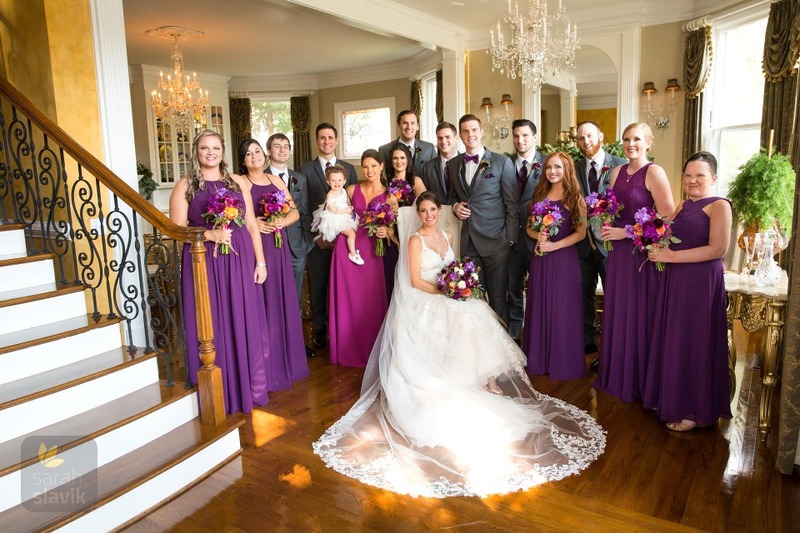 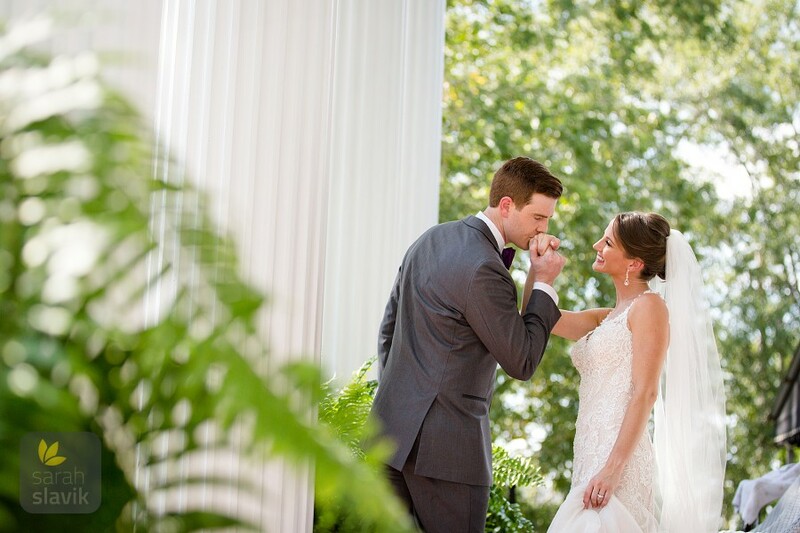 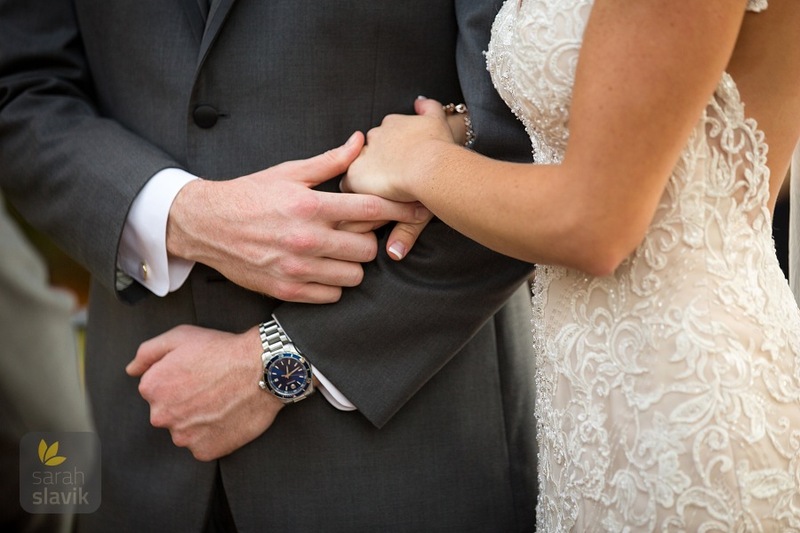 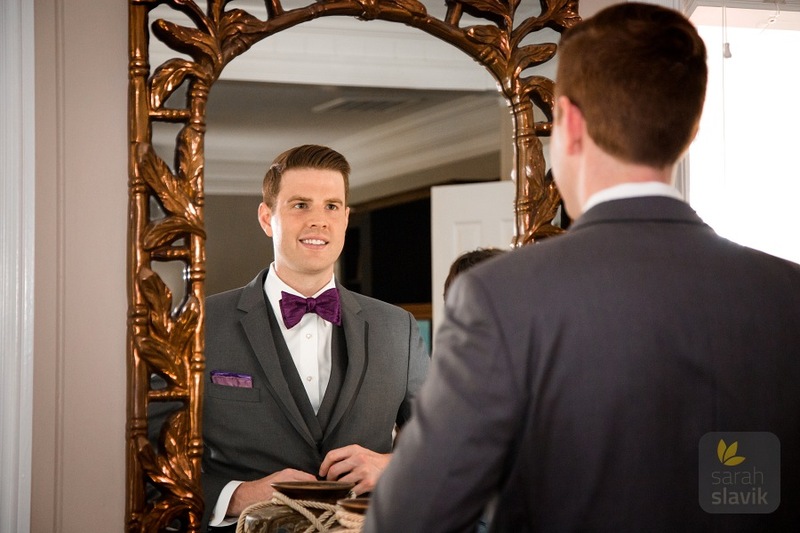 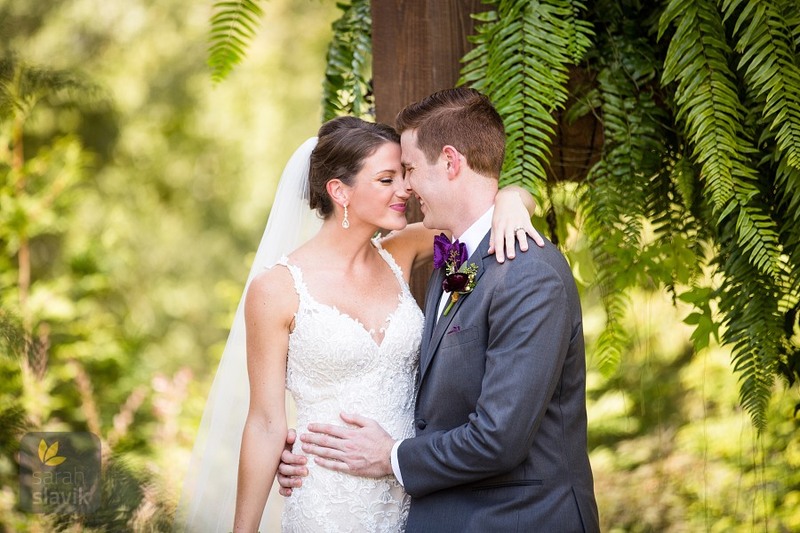 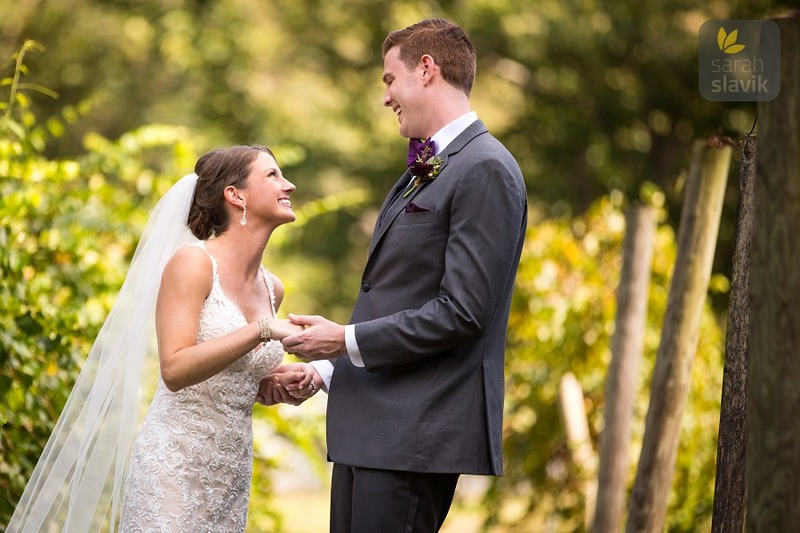 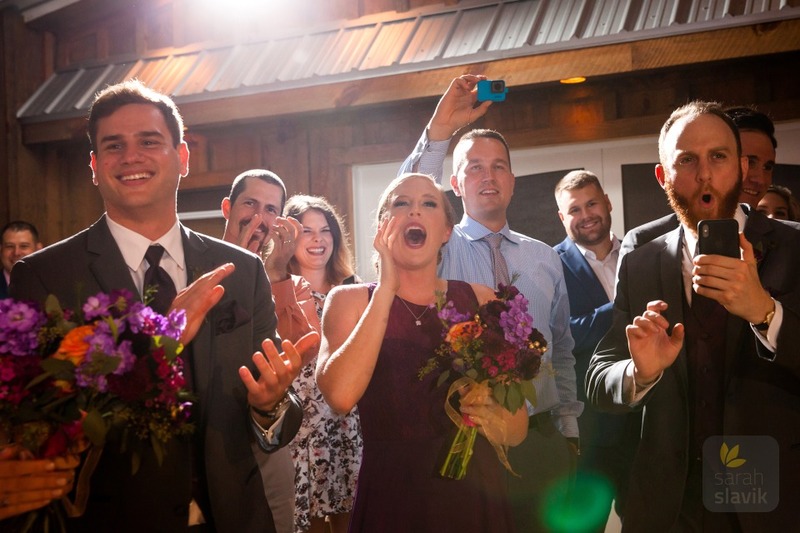 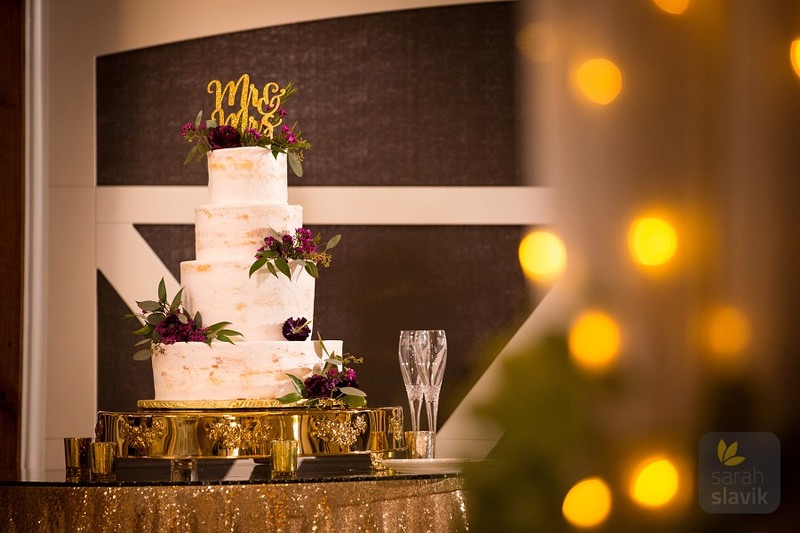 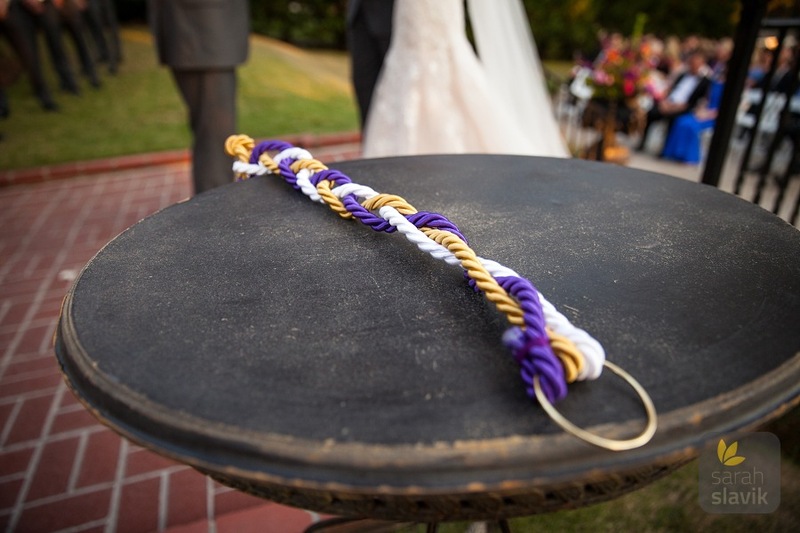 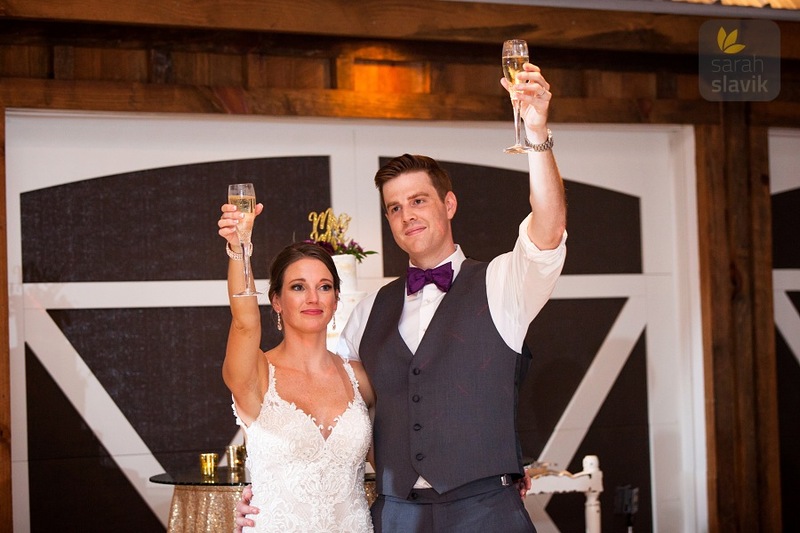 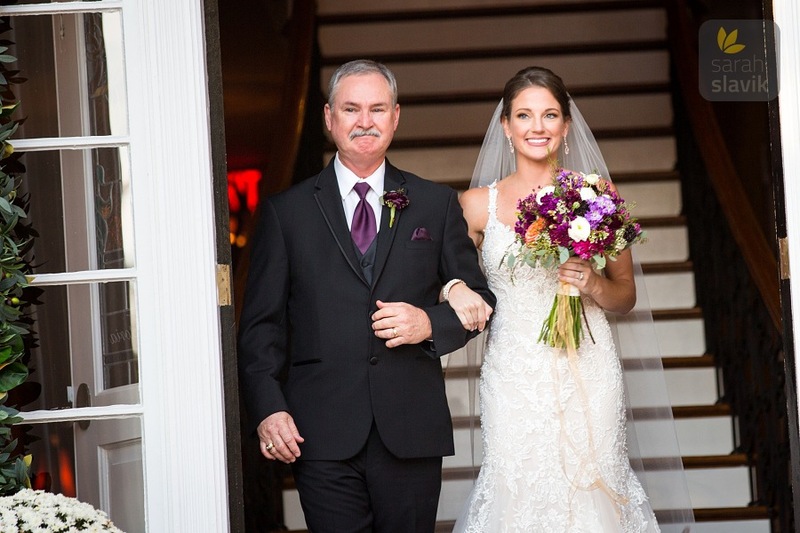 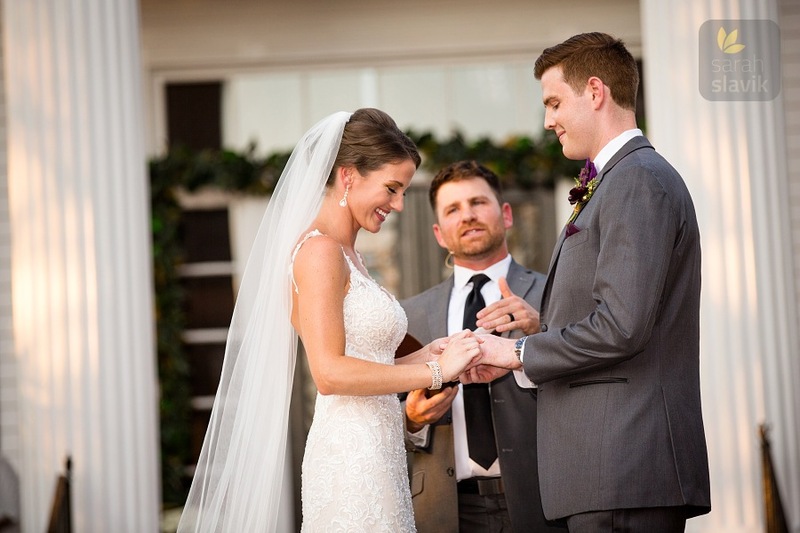 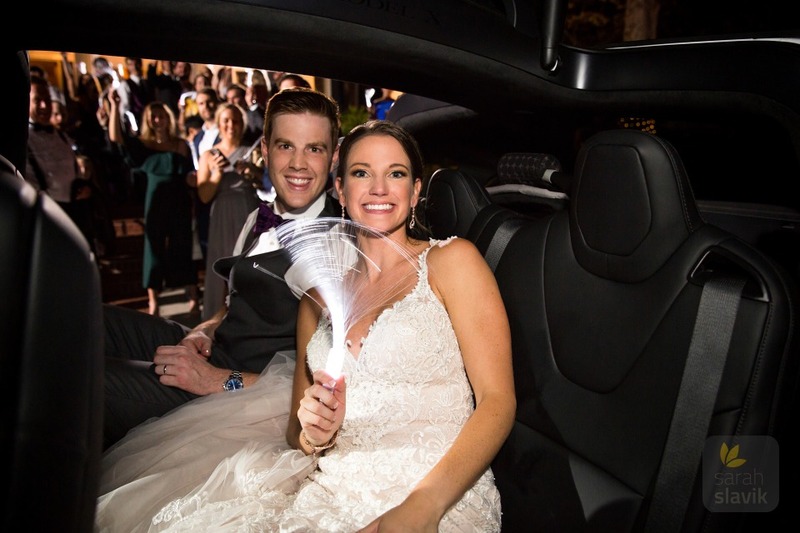 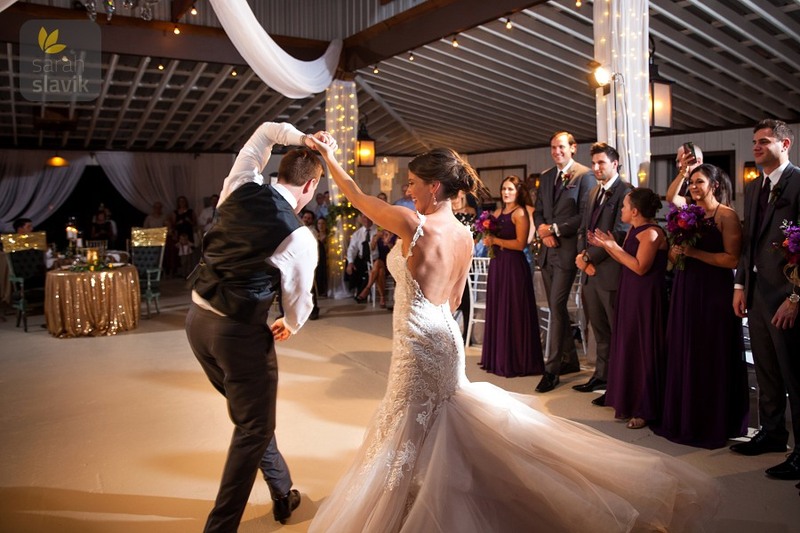 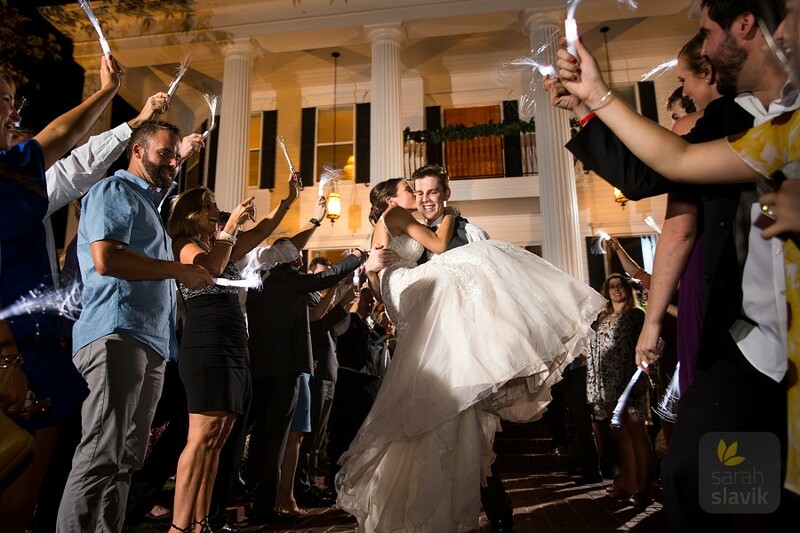 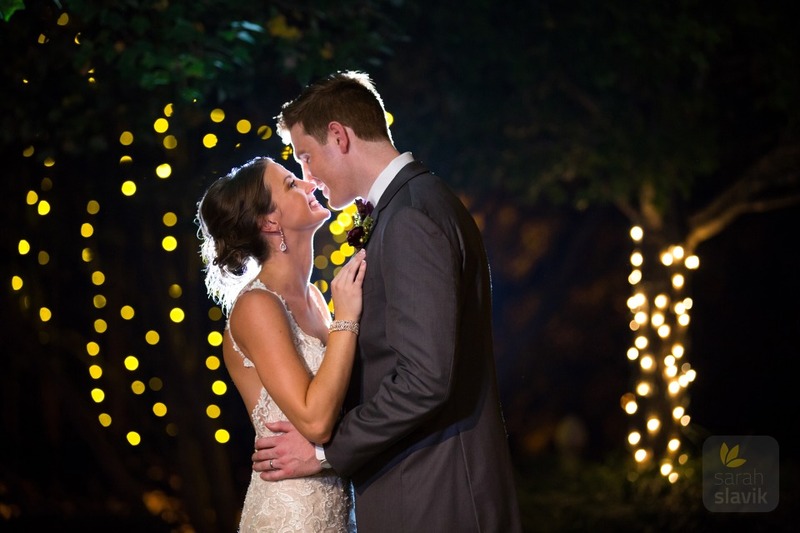 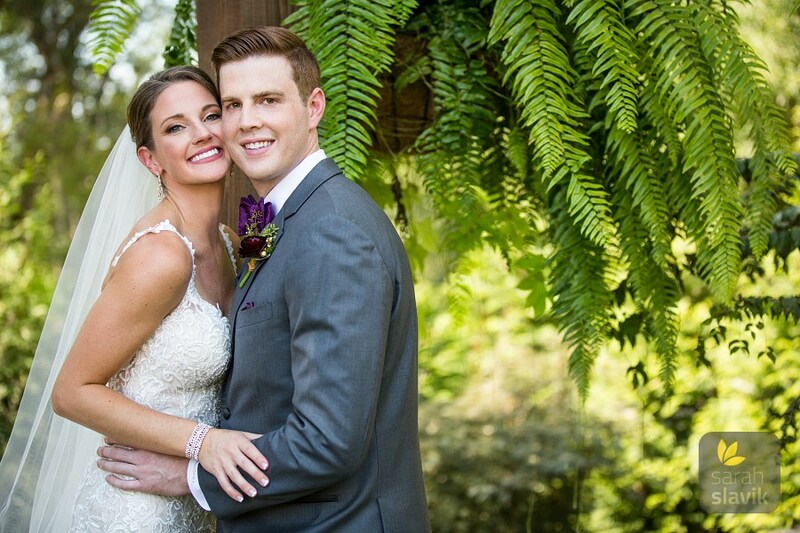 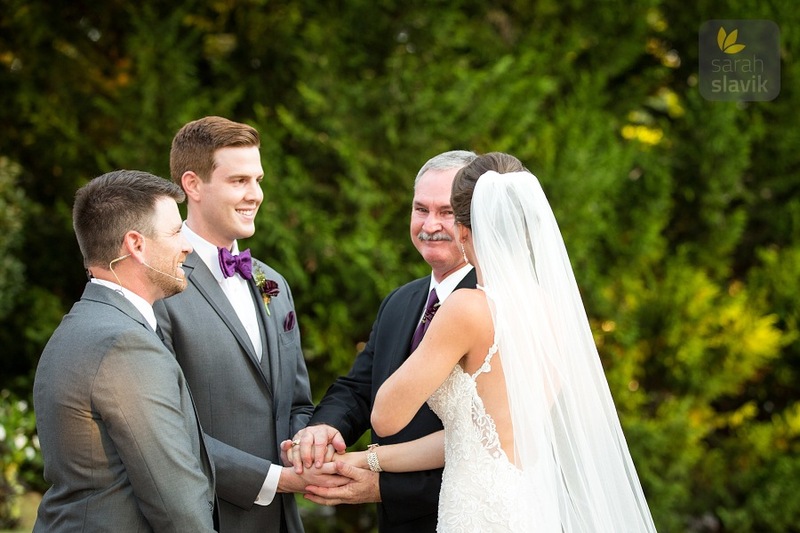 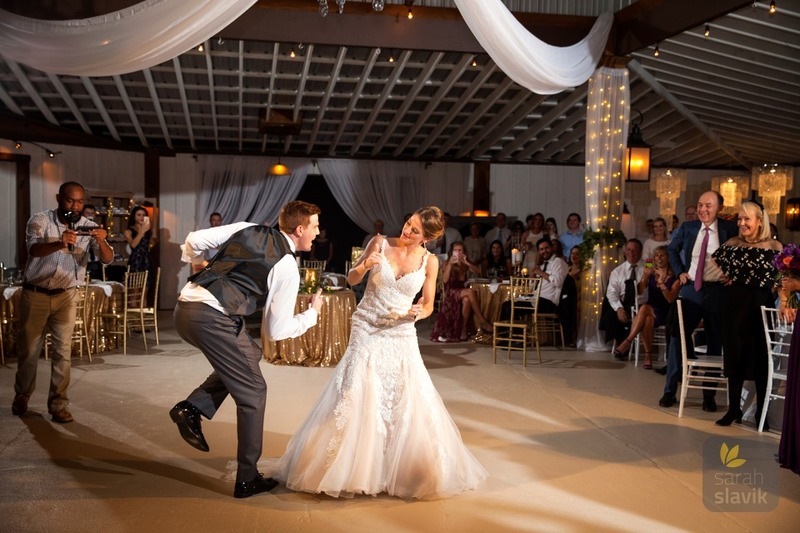 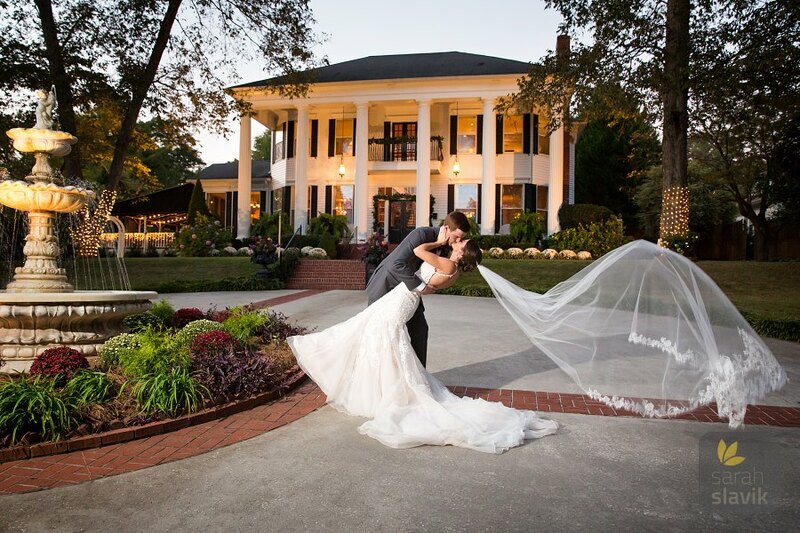 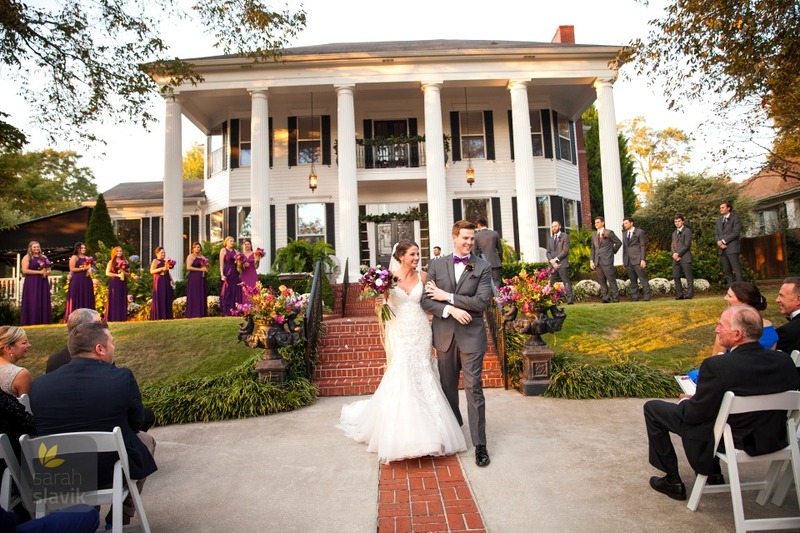 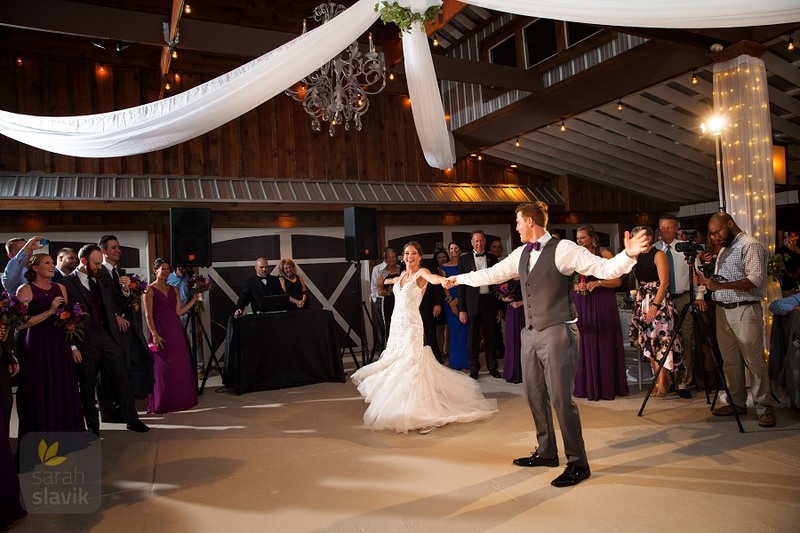 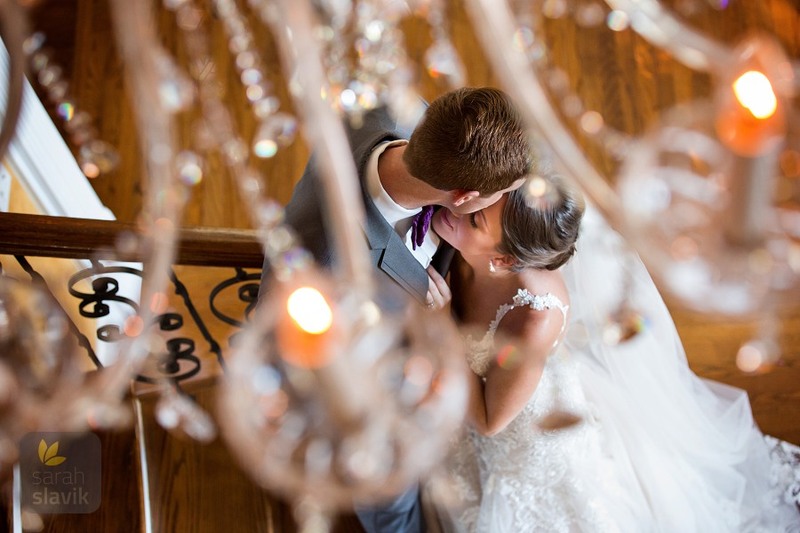 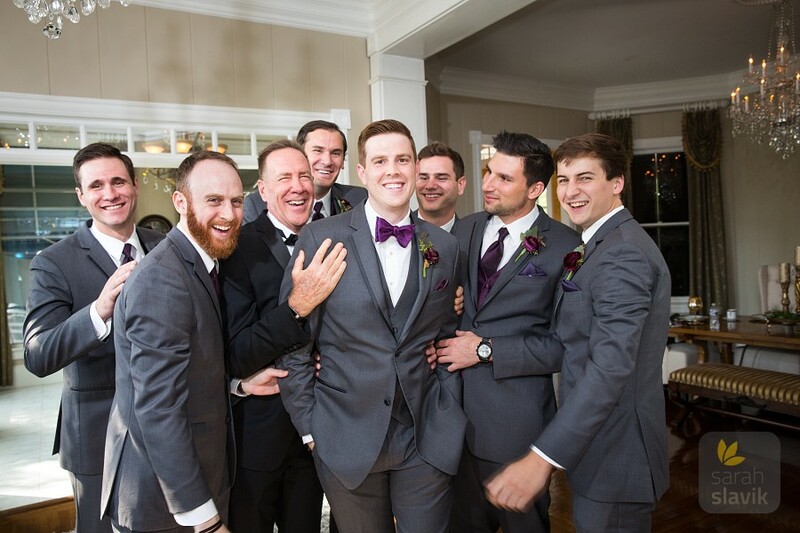 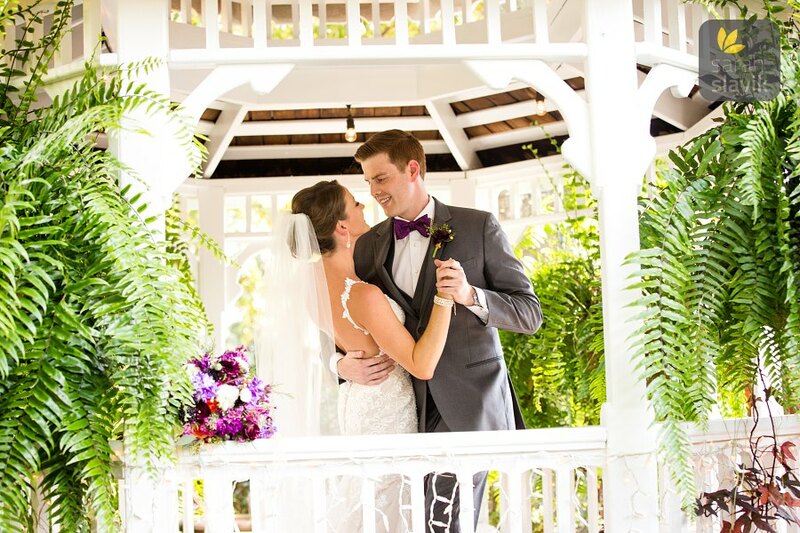 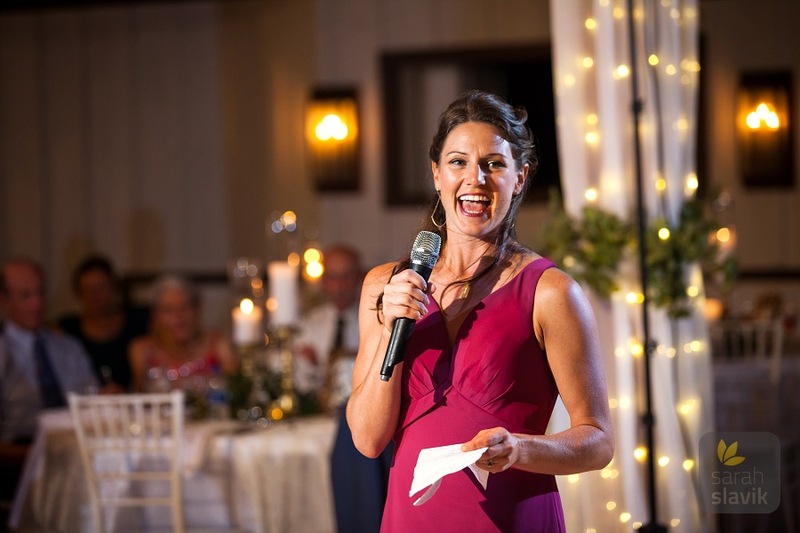 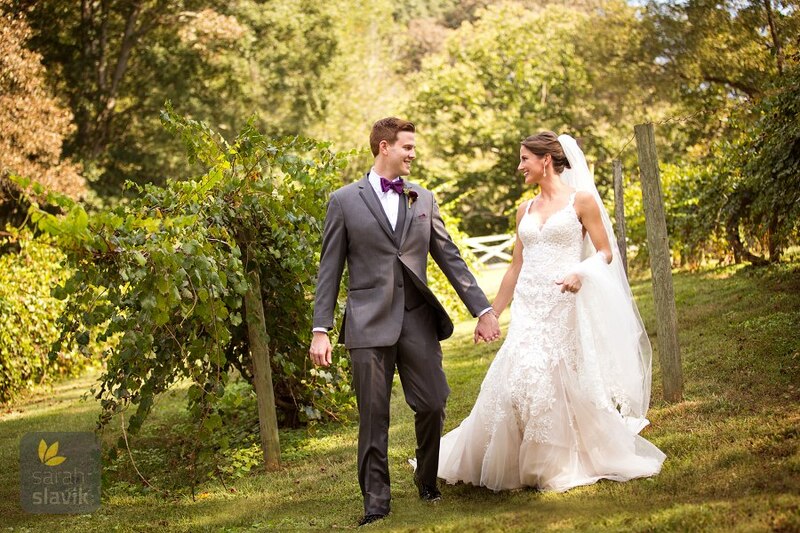 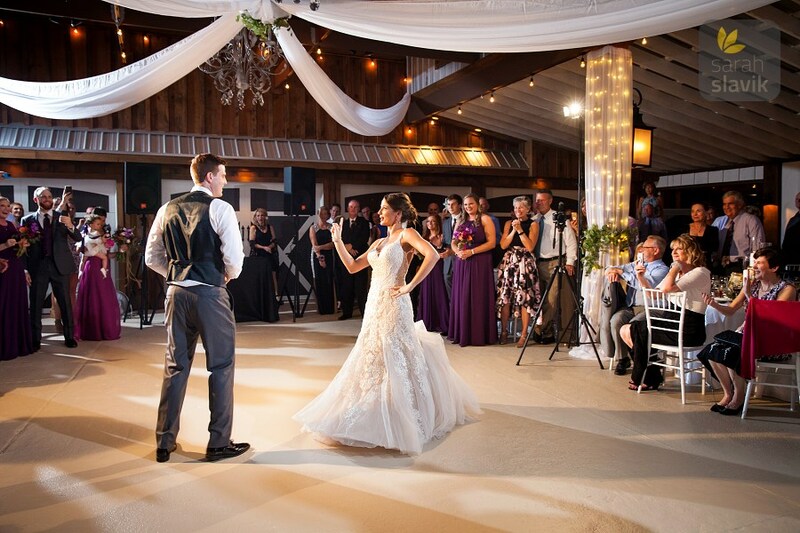 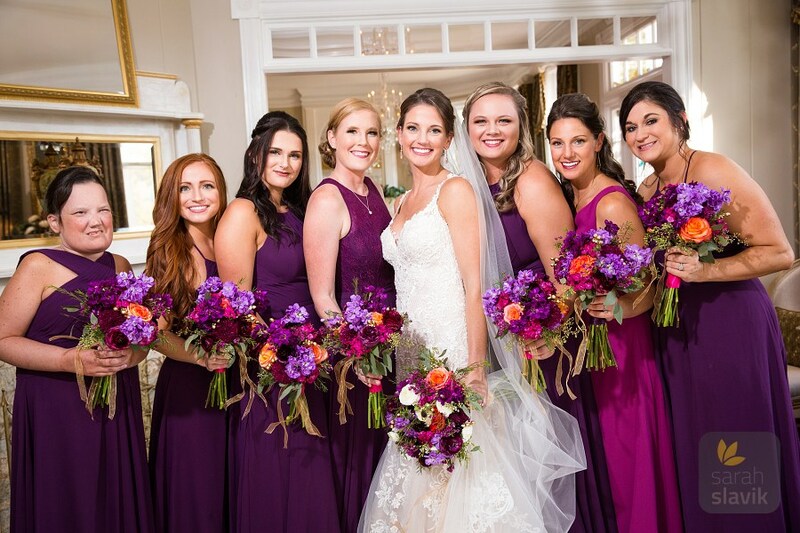 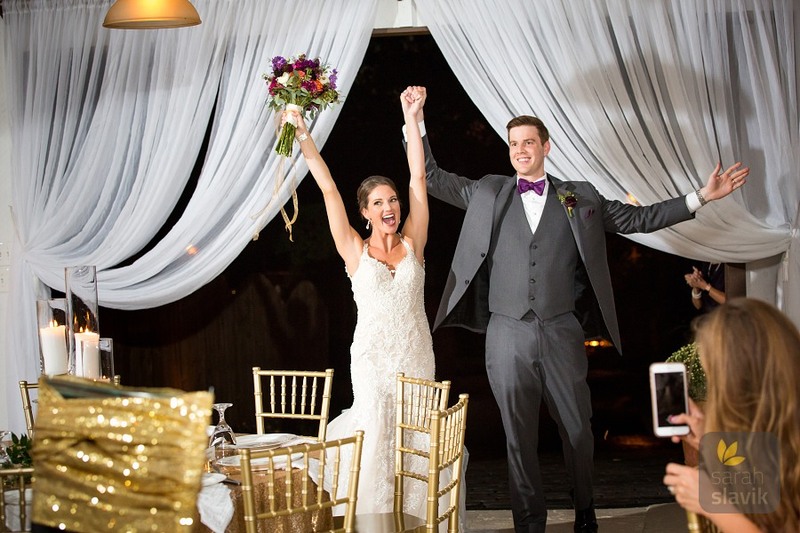 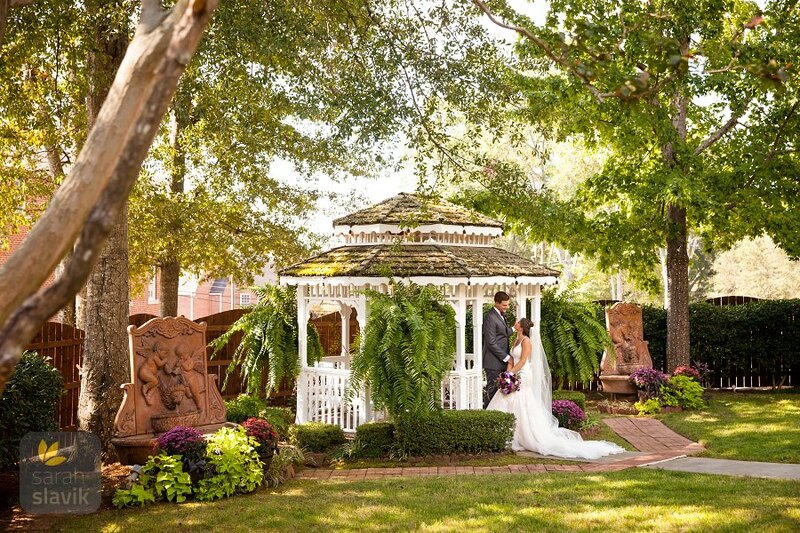 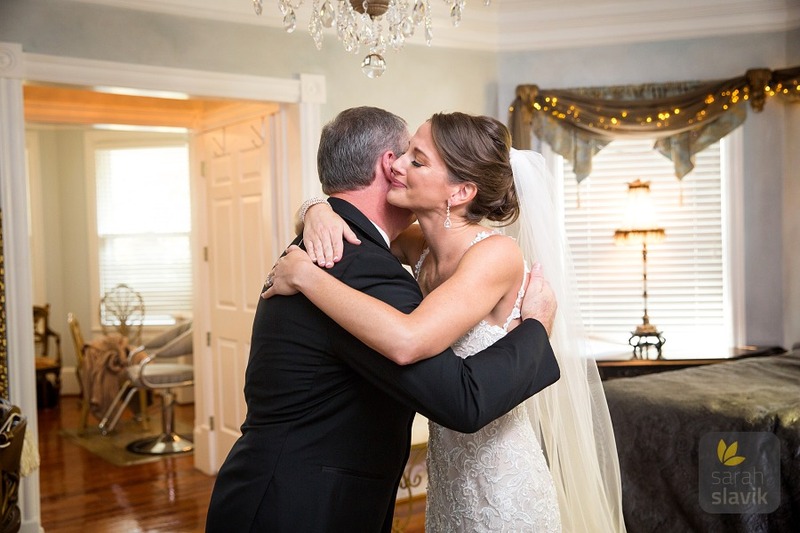 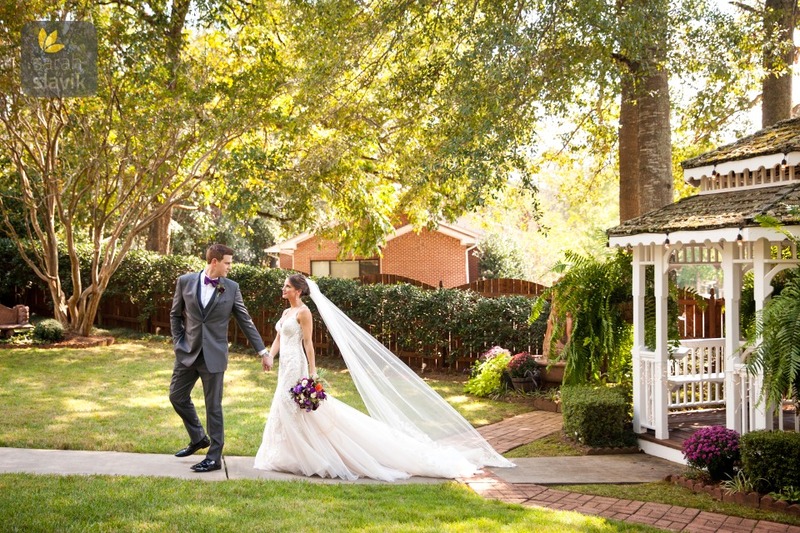 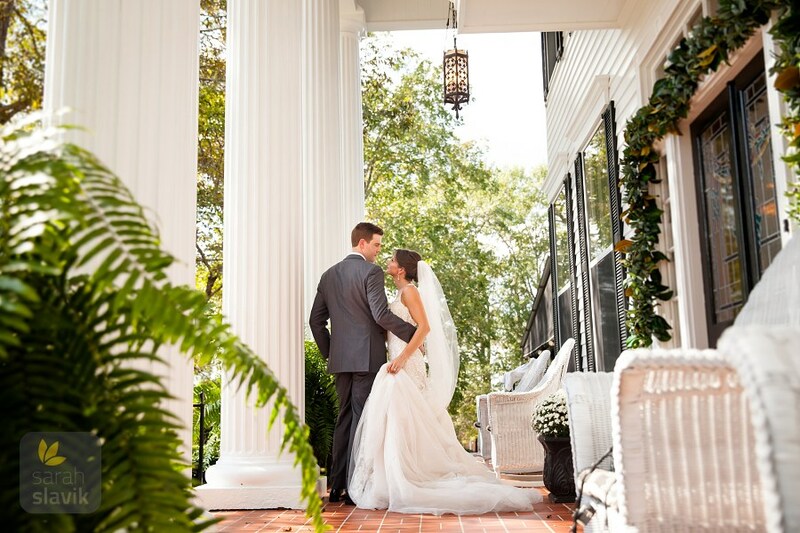 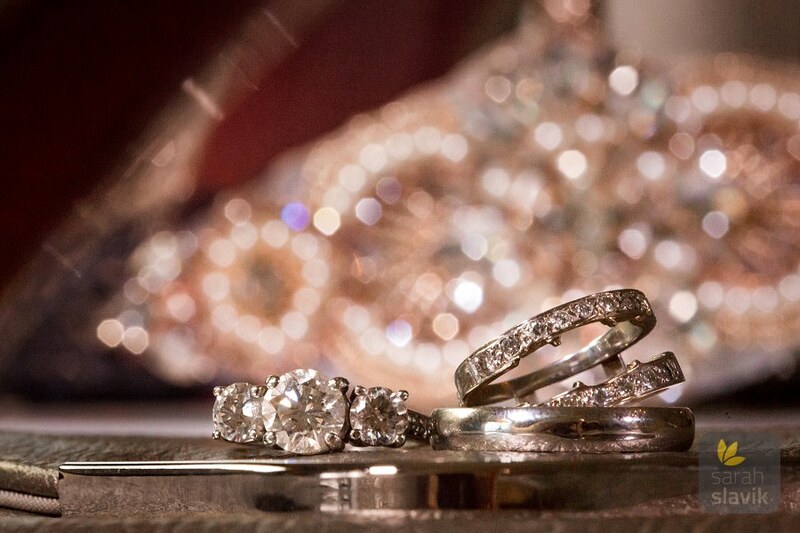 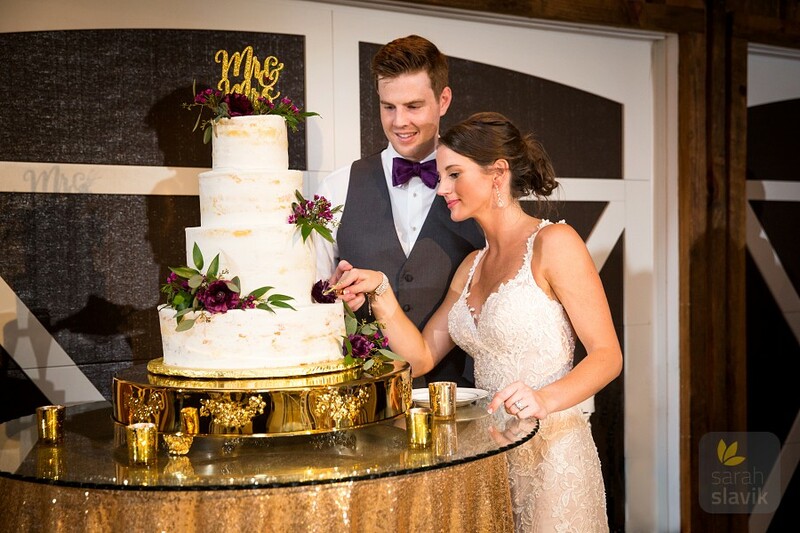 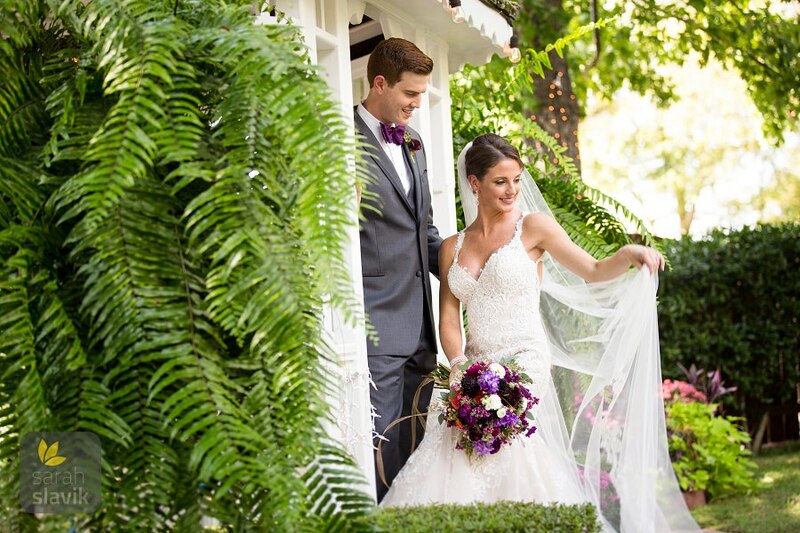 Kayla and Matt made a vibrant yet classy couple – a perfect fit for this charming mansion! 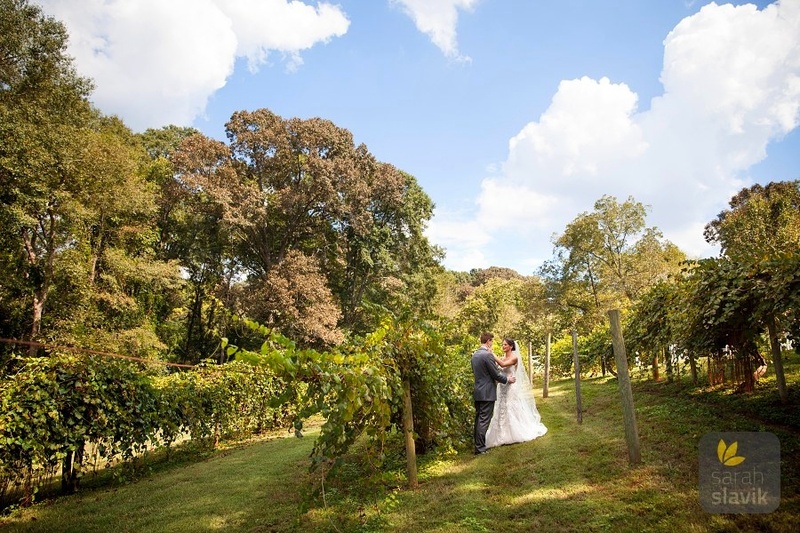 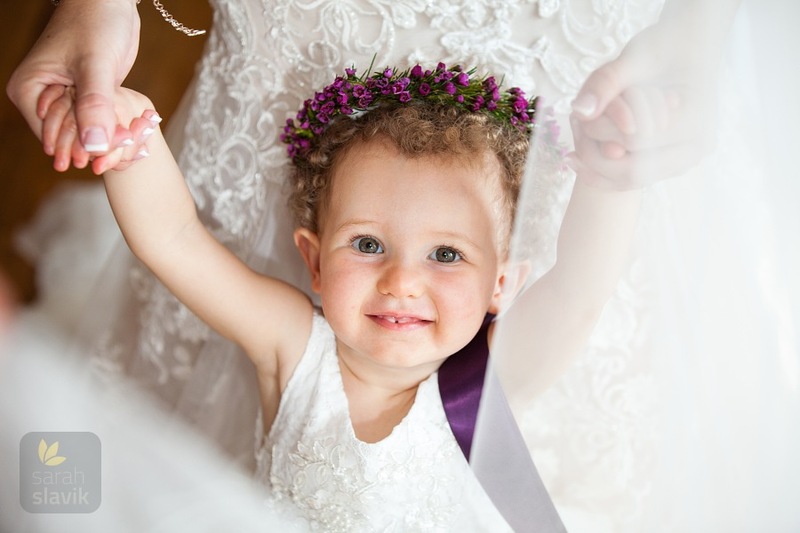 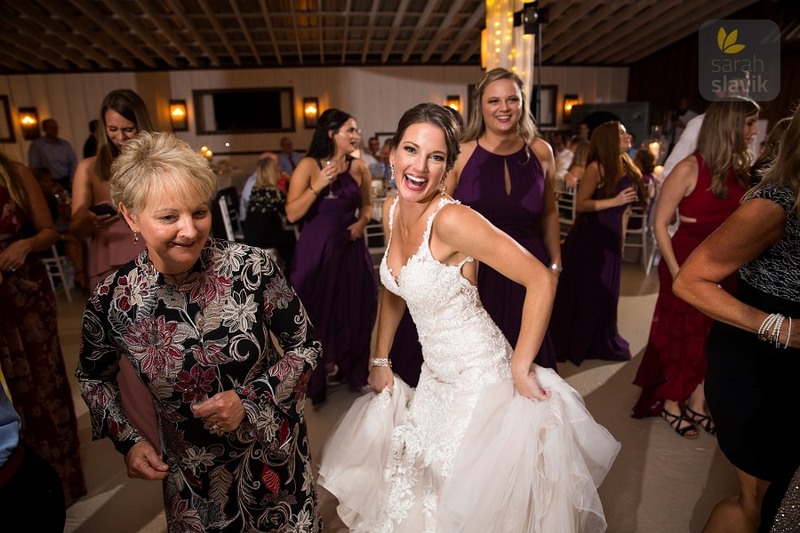 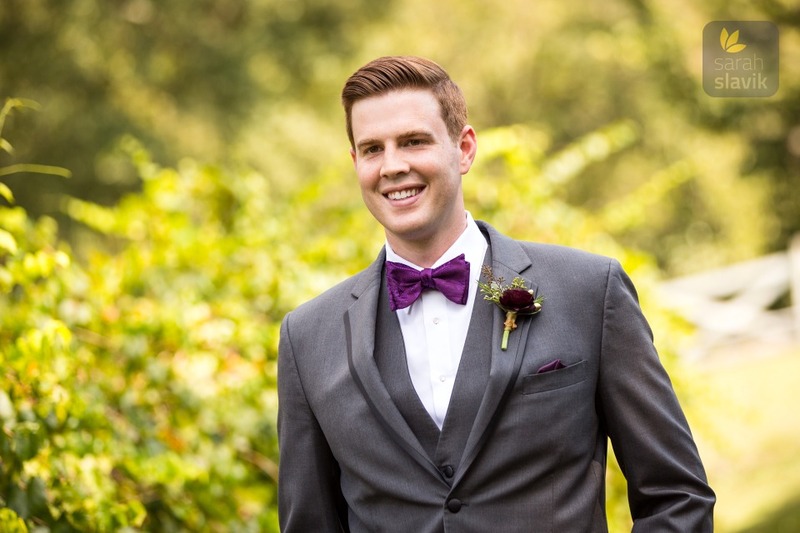 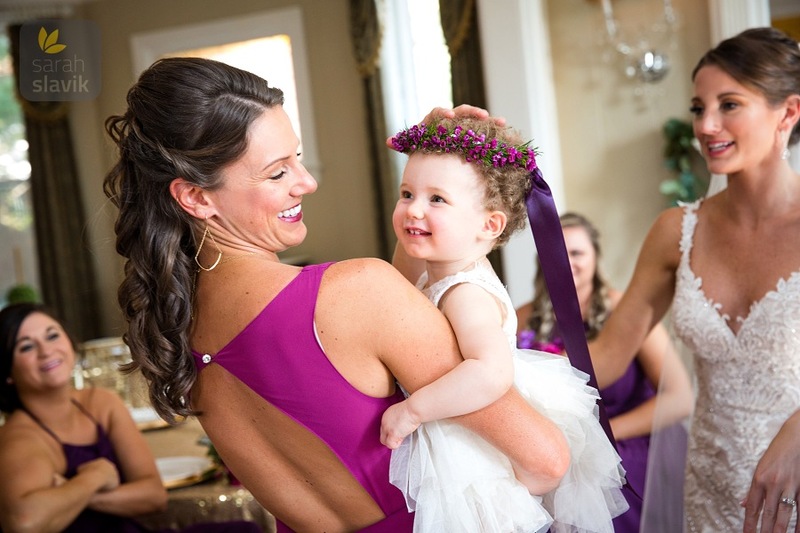 Their first look was absolutely adorable, with Kayla peeking through the vines of the vineyard as she saw Matt approaching to see her in her dress for the first time. 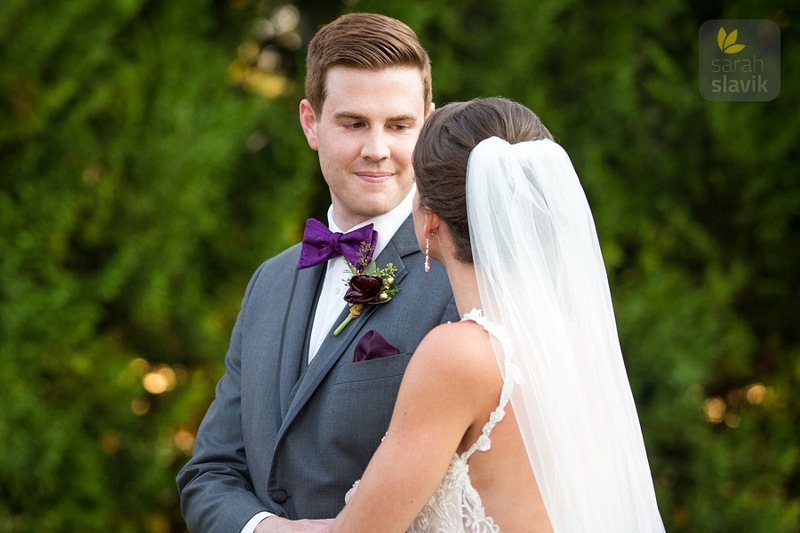 Their affection for one another was so obvious throughout the entire day, and I think it shines in their portraits, too. 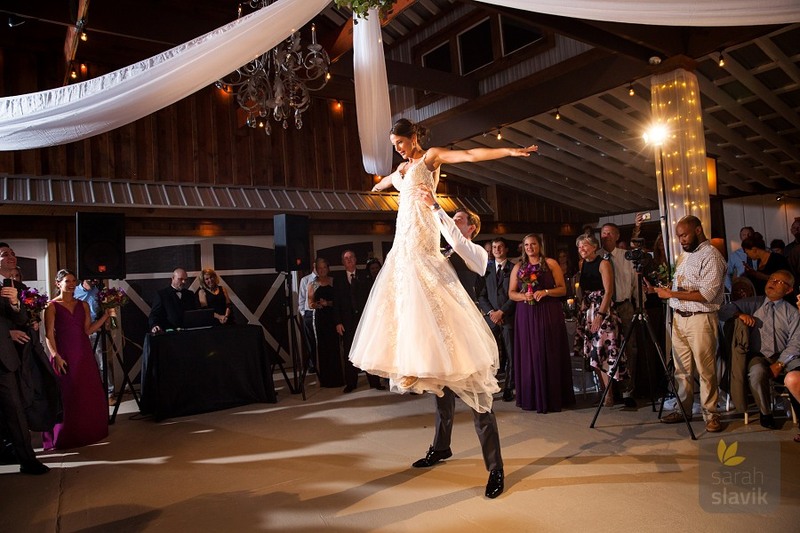 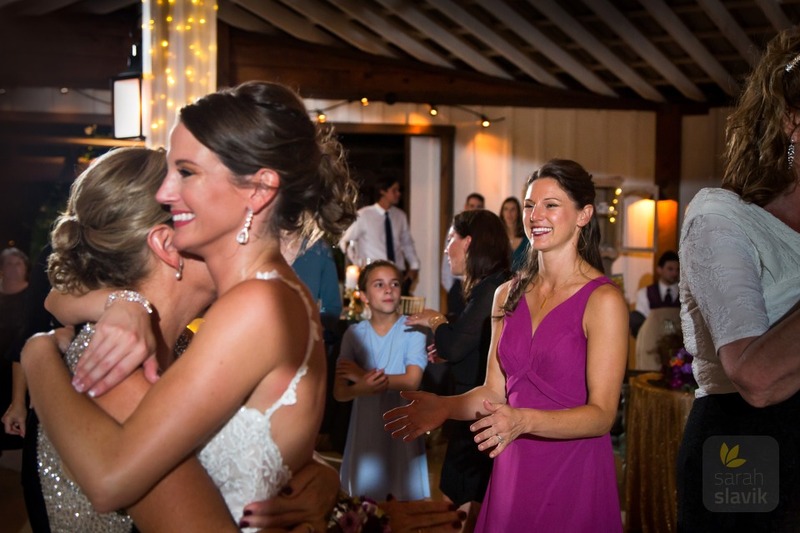 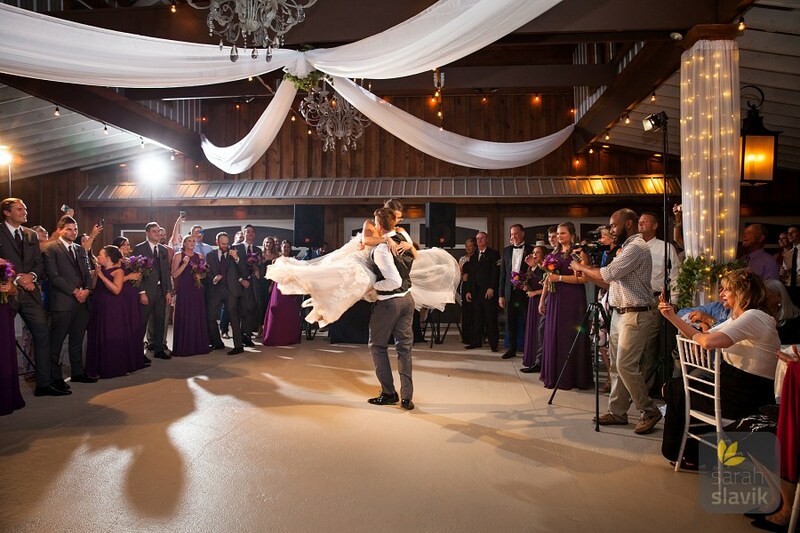 One of my favorite moments from the wedding had to be the couple’s first dance. 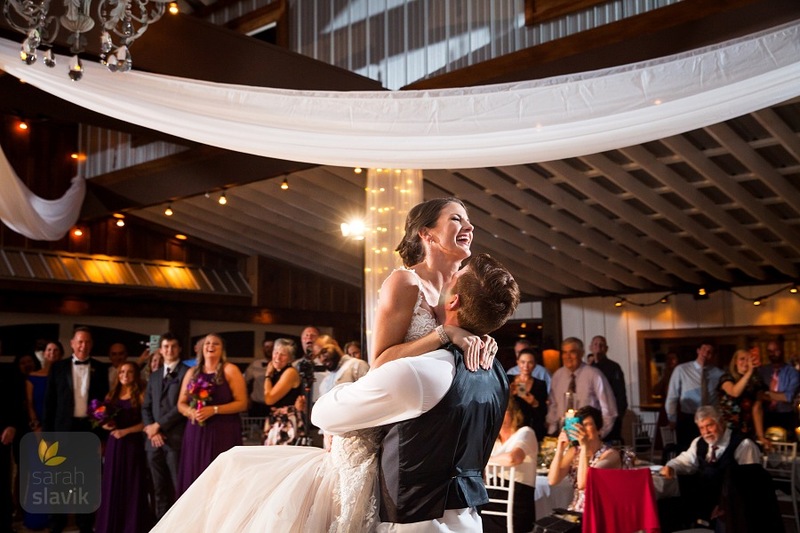 Kayla and Matt had rehearsed an energetic choreographed dance that was very entertaining for the guests, and fun to photograph too 🙂 I hope you enjoy the photos from these moments as much as I enjoyed capturing them!